Supernatural "O Brother Where Art Thou?" Pics: [SPOILER] Returns! Supernatural “O Brother Where Art Thou?” Pics: [SPOILER] Returns! Preview images for the Supernatural episode "O Brother Where Art Thou?" Lucifer (Mark Pellegrino) appears in some of the new promotional photos for the Wednesday, December 9 episode of Supernatural. The episode is called “O Brother Where Art Thou?” and in it, Amara (guest star Emily Swallow) unleashes her power on the local townspeople as she issues a shocking challenge. Dean (Jensen Ackles) tries to better understand the hold Amara has on him, while Sam (Jared Padalecki) and Crowley (Mark Sheppard) come up with a plan that could have disastrous consequences. You can see the new preview images below. Come talk about Supernatural on our forum for the show! Supernatural -- "O Brother Where Art Thou?" 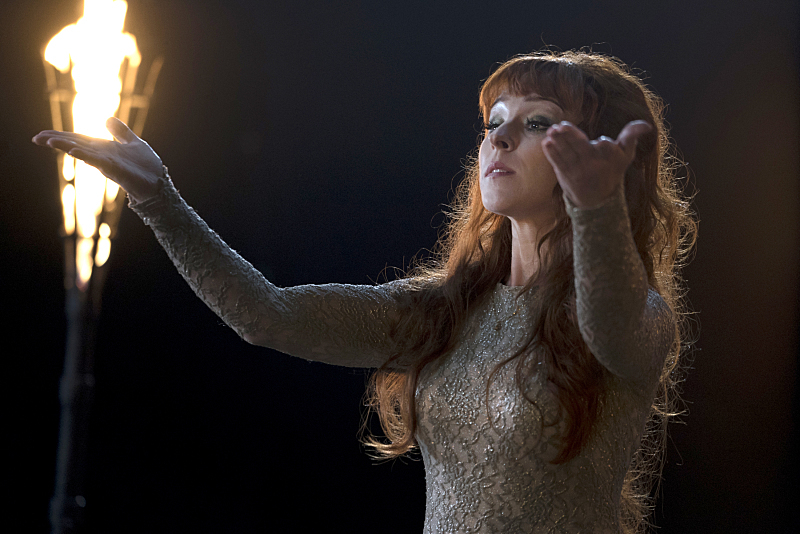 -- Image SN1109A_0055.jpg -- Pictured: Ruth Connell as Rowena -- Photo: Katie Yu/The CW -- ÃÂ© 2015 The CW Network, LLC. All Rights Reserved.